Bed bugs. They are the pest of nightmares. They live, breed, and feed indoors. 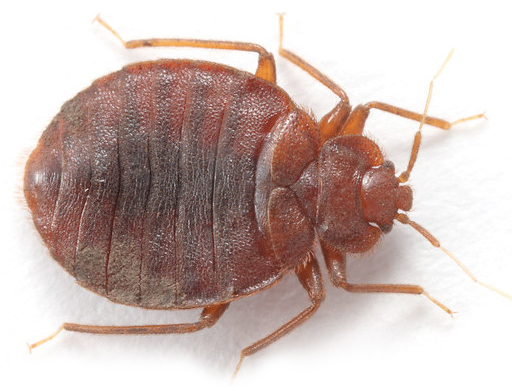 They only come out at night, and they are outstanding hiders – you can be bitten for months, and still have no idea you have a bed bug infestation until it has become almost unmanageable. At Canadian Bed Bug, we provide bed bug removal services that are proven effective at eliminating each and every one of these biting pests, with proven techniques that are known to eliminate any and all signs of bed bugs and their eggs. We offer several Vancouver bed bug removal options, but by far our most popular is our heat treatment – an environmentally friendly bed bug treatment that uses heat, rather than chemicals, to eliminate bed bugs from your property. 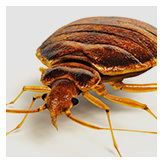 Heat treatment is quickly becoming the most trusted form of bed bug removal in Vancouver, BC. The treatment is also safe for you and your family, and will not harm your belongings. Bed bugs are resilient. But they do not handle extreme heat. When exposed to about 48°c for 20 minutes, all adult bed bugs will die. When exposed to the same temperature for 90 minutes, their eggs will die as well. Using a series of industrial heaters and our knowledge of bed bugs and their hiding habits, we will heat your entire home to the correct temperature, killing bed bugs and their eggs completely. We’ll heat walls, beds, and more, so that they are unable to hide, and search your home for signs of bed bugs once completed. We start at 8am and end at 5pm, and by the time we are completed we guarantee that bed bugs will no longer be a problem. 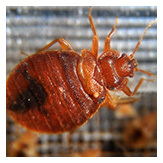 We can eliminate bed bugs at the same rate as chemical treatments. There will be no chemical residue anywhere in your home. Your electronics, books, and other items will not be damaged in treatment. Heat is capable of penetrating any and all hiding spots – even those you can’t see. Our bed bug heat treatment is also cost effective, and welcomed by most apartment complexes as well. If you are struggling with bed bugs and want us to eliminate them from your property, call Canadian Bed Bug today at 778-945-7777 and see why we are the leading bed bug removal service in Vancouver. What items do I have to take out? How long will it take for my house to cool down? Electronics, including TVs and computers, are fine to go through the heat process. We ask that you turn them off prior to the treatment. 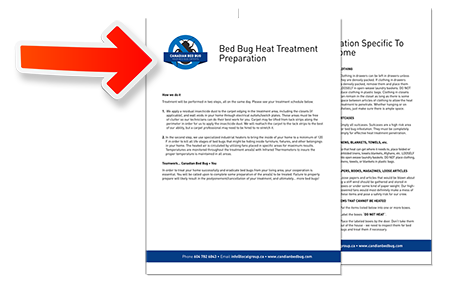 See our heat treatment preparation sheet for full instructions. The first thing you will probably notice is that your home and many of your belongings are still warm. This is normal and is due to the fact that they were kept at a high temperature for a couple of hours and it takes time to cool down. You will also find dead bed bugs – these can just be vacuumed up (no special precautions required). There should be no more live bed bugs in your home by the time you arrive home. Occasionally, people will notice bite marks after the treatment – this does not mean there are still bed bugs present as reactions to bed bug bites can be delayed (typically 1 to 3 days but as long as 14 days). You may also notice that some of your items are not in exactly the same place – we actively manage the heat during the treatment and we will have to move your belongings to ensure the heat penetrates all areas. We do our best to put everything back in its place. Upon completion of the treatment, we will open all of the windows and doors to cool down your home. Most treatments begin at about 8am and are completed by 5pm. In most cases, you can be back in your home by 6pm. It will still be warm but no hotter than on a summer day here in Vancouver.